You may have noticed that I was a bit quiet last week, well that's because I was off becoming a graduate (woooo). As it was the official end of my time at uni, my boyfriend and I decided to go on our last (well maybe not last) New Forest adventure, which of course had to be accompanied by a cream tea. We started off with a walk around the forest (I'm not exactly sure whereabouts) where we found loads of weird mushrooms. If you've read this blog before you'll know that I HATE mushrooms, but there were so many exciting ones, it kind of made me want to like them and become some sort of mushroom picking expert. 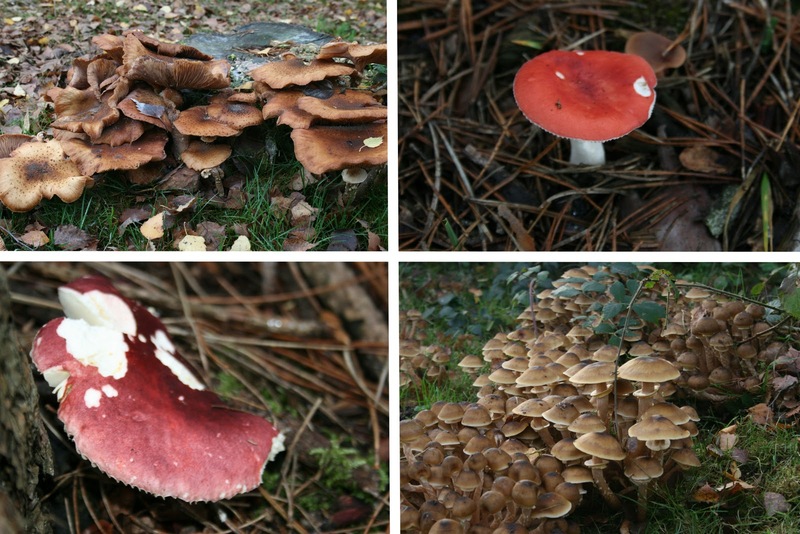 Anyway, to the actual point of this post, if you are going on some kind of mushroom forest adventure, or chasing wild ponies, or visiting an otter and owl sanctuary (Yes all these amazing things can be done in the New Forest). I recommend you stop in Lyndhurst and try The Lyndhurst Tea House. They do absolutely amazing cream teas and also have a wide range of savoury vegetarian dishes. Because I'm extremely greedy I had lunch followed by a cream tea (much to my boyfriends despair) and it was so worth it, even if I did have to take my shorts off for the drive home because they no longer fit. I can't really remember the menu, but there was definitely quite a few veggie options. The traditional welsh rarebit really stuck out to me as it combined pretty much all of my favorite things, cheese, ale and mustard. For something so simple it really packed a punch, the ale and mustard were perfect and the chutney made my taste buds very happy. There are a few different versions of the cream tea and again I can't remember them all but there was the standard traditional one with scones and cream, a savoury one with cheese scones and chutney and the ramblers which is a slice of cake, a scone with clotted cream and jam and tea. Obviously I went for the ramblers. Cake and a scone. Heaven. You even get to choose your cake! I went for toffee apple which was delicious, as was the warm homemade scone. It was the perfect end to my uni experience and I'm sure I'll be back in the new forest soon to visit one of my favourite gingers and have more foodie fun. Congratulations on Graduating. I wish you luck in the real world and hope you find some work, but before that have fun! !